Here's the thing - We've got plenty of suppliers, tons of options, and way too much to list. Below is a compact list of some of our top sellers. If you don't see something you're looking for shoot us an email and we'll find a snazzy option for you. T-shirts. The Best of the Best. Fashion forward and durable. Anyone is happy with these on. Used most for merchandise for resale, such as events and schools. Made in USA. Extra long and super rad. 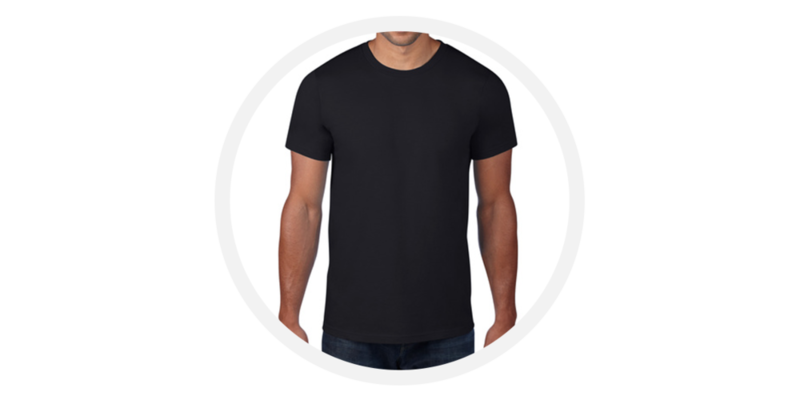 These shirts are comfortable and make any design look awesome. Used most for youth conferences or camps. Made in USA. Classic T-shirt with a cause. Operated by the Global Orphan Project, Shirts are made at a fair local wage in Haiti & all proceeds go towards orphan rescue. T-shirts. No budget? no problem. We've got whatever you need. Glasses, mugs, umbrellas, hats, water bottles, USBs, coats, sweaters, bracelets, lanyards, sunglasses... ok. We really mean whatever you need. Just let us know how we can help!